Happy Friday everyone, today’s look is full of colors, i like these kind of colors because they can stand up your mood, that was exactly what i needed yesterday, many of the blogs are just talking and some are wearing Fall inspiration, as I live in a tropical weather, I decided to wear all my colored clothes before, why I should take a advantage of the weather, let s celebrate colors adn summer clothes, hope you have a nice weekend. great look. 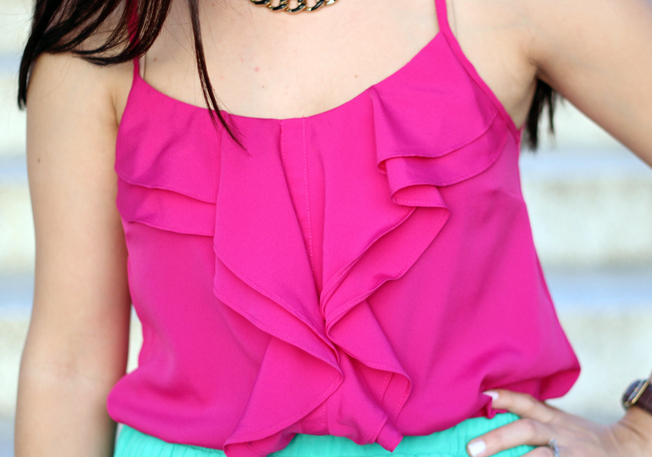 I love the color combination mint and pink. Look gorgeous. Muchisimas gracias Kiona, por tu apoyo, vale mucho para mi. Thank you so much Mary, you are so sweet.